Whether you're bouncing around off-road, or need a some extra lumens light up a foggy night, KC Hilites Apollo Pro Series lights are for you. Available in multiple different beam patterns and wrapped in a durable housing, these lights are not only functional, they'll also stand the test of time. These halogen lights offer an affordable set of fog lights which were made for the outdoor, off-road, or just plain clear visibility enthusiast. Driving at night, during foggy, or dusty conditions can be very dangerous, and you can easily lose sight of where you are driving and potentially run into something causing harm to you or your vehicle. But with a set of KC Apollo Pro Series lights shining into the darkness you will surely get to your destination safely. KC Hilites Apollo Pro Series fog lights for trucks give you the extra light you need for work or play. The Apollo Pro Series has higher levels of wattage and candlepower than the Apollo Series. So, get a set of these on your favorite ride today, and drive with confidence. 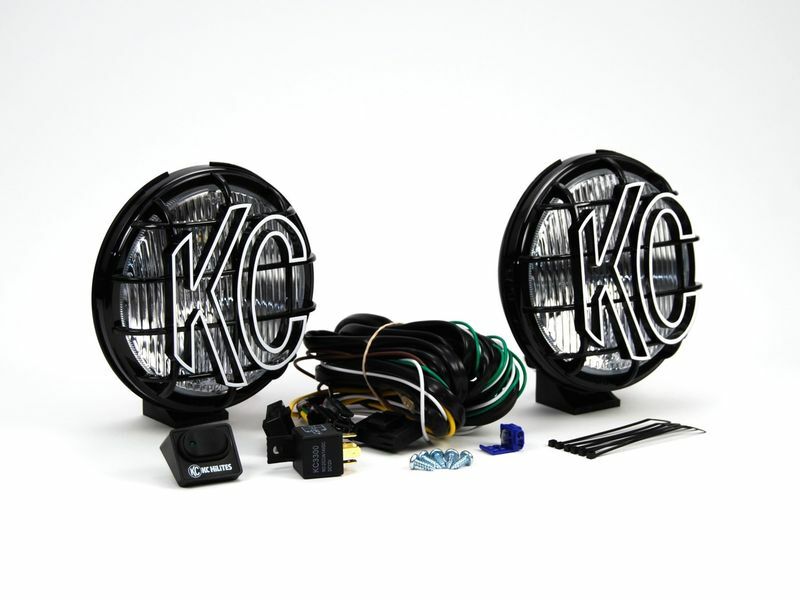 The KC HiLites Apollo Pro Series lights offer an easy at home installation. An installation manual which is sent with the product which offers clear cut and easy to read instructions. If you have any questions, don't hesitate to give us a call at 877-216-5446.